So the holidays are over and it's back to work for everyone. Given the weather in the UK at the moment that's no great loss to us photographers though. I hope you've all had a refreshing break and possibly got a few new toys to play with in the new year. We had a chat with a few of a our regulars and asked them what 2013 was like and what they hope to see in 2014 and asked them to show some of their favourite work from the last year. I for one wished to get out a little bit more, a desire I'm sure is matched by many a photographer, professional or amateur. 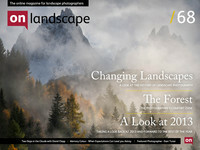 The new year is going to be interesting for many reasons for On Landscape not least the conference in November for which we're now taking bookings (click here for more information). We'll be featuring interviews with the speakers and portfolios over the coming months. 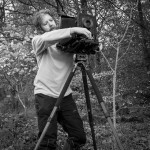 Everyone knows that On Landscape likes the occasional tree photograph and even David Clapp is moving from auroral to arboreal in his latest article on misty woods. Hans Strand has a particular love of woodland and what woodland they have in Sweden! Hans talks through a few of his photographs and the ways he sees them. David Ward takes a look at the history of landscape photography and the way that we have seen the landscape, touching on elements of the sublime and picturesque along the way. Great reading and a lot of links to follow to new info. Finally we have a great interview with our featured photographer Esen Tunar and I have written a second in my series on colour in photography - this time looking at how our memory and knowledge of colour affects the actual colours we see. Here's hoping for more photographic opportunities for everyone in 2014!